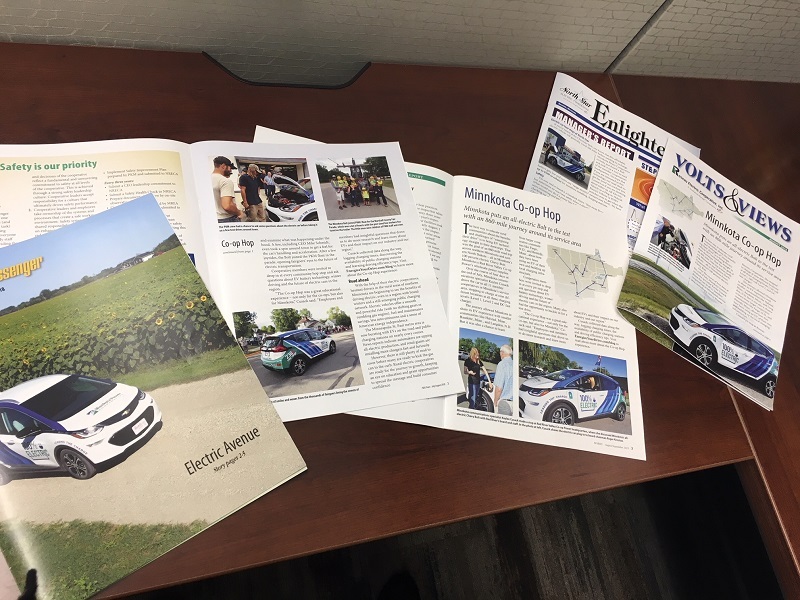 The Minnkota Chevy Bolt has been getting a lot of printed publicity in the past couple of months! Click on the Minnkota Messenger to read all about it! Our Messenger wasn't the only publication giving some ink to the Bolt. A number of co-ops shared their experiences with the Co-op Hop in their monthly newsletters. 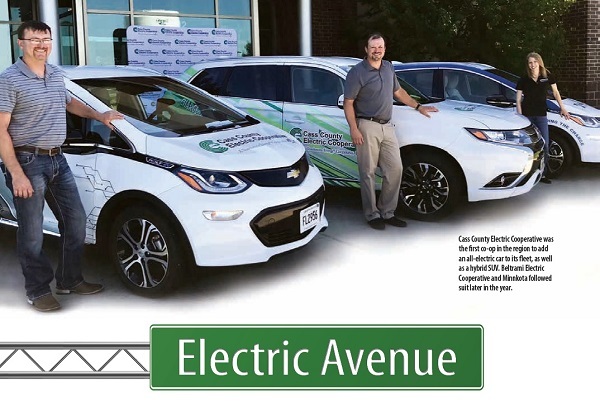 We also had a nice shout out in the Cavalier County Republican. That's a lot of blue and green on those cooperative newsletter pages. Our car is going to start getting a big head with all of this fame. 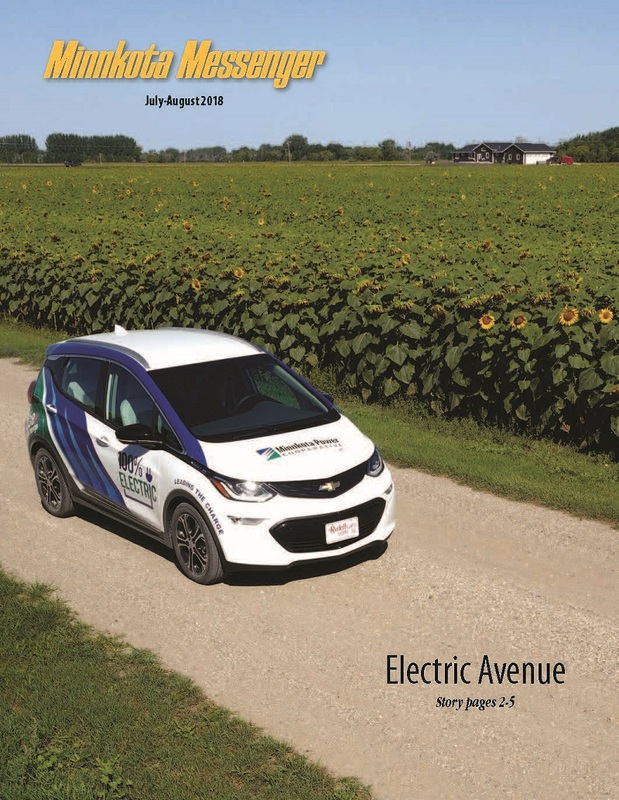 We have a lot of engaging events and outreach planned in September, so I'm looking forward to chatting with even more people face-to-face about the landscape of electric vehicles. Hopefully these stories will get the conversation rolling early.